It was ugly last night for the Orioles, as they lost 8-1, last night at Camden Yards. They could not take advantage of a Yankees’ loss in New York; however, they still lead the Wild Card hunt along with Oakland. Virginia native Joe Saunders who was making his first start as an Oriole just was not effective on Wednesday. Saunders pretty much doomed the Orioles as he gave up four runs in the opening frame and got marginally better throughout night; however, the offense could not get out of the hole he dug early. Overall, Saunders lasted 5 1/3 innings, gave seven runs – six earned – struck out four and walked two. Dylan Alexrod – who started on the mound for Chicago – dominated the Orioles. He went 7 1/3 innings, allowed a run, walked four and struck out five. The Baltimore offense only mustered three hits on the night and Omar Quintanilla drove in the only run. The biggest news from yesterday centered on super-talented pitcher Dylan Bundy. A lot of fans wondered if he would be called for the stretch run for the Baltimore Orioles and play a small role in leading them to playoffs. The Baltimore Orioles earned their 71st victory of the season as they defeated the Chicago White Sox, 6-0. In another amazing performance by Chris Tillman (7-2), he only allowed one hit over seven innings on the mounds. It is astounding how much Tillman has improved over the past season, considering how bad he was at times in the past. Fans wanted him traded in the past; however, there's a reason why the Orioles didn't trade him. He flat out owned the White Sox, striking out five; however, Tillman also did walk four guys – a little of a downer in an otherwise stunning performance. His teammates came through at the plate as Nick Markakis got things going with a three-run double in the second inning to put Baltimore up 3-0. Lew Ford hit his second home run of the season – a solo shot - in as many days in the second inning, and Manny Machado raised the score to 5-0 with a sacrifice fly. The Orioles were able to jump on Chicago starter Chris Sale (15-5), who only lasted four innings. He gave up four runs in his outing. I expected the matchup with Sale to be tough on the night, but it was anything but. Adam Jones hit his 100th career home run – and 25th of the year – a solo shot, in the seventh inning. Brian Matusz pitched two scoreless innings to close out Tuesday’s game. Virginia native Joe Saunders suits up for the Orioles in his first start tonight; meanwhile, Baltimore is interested in left-hander Randy Wolf – who was released from the Milwaukee Brewers recently. I’m curious why the team would want him now, considering the amount of available starters now; however, he may be used as a reliever according to reports. Once again, the attendance at Oriole Park at Camden Yards the game was terribly underwhelming – especially for a team in a pennant race. Only 12,841 fans showed up last night. Some members of the media have harped on the lack of attendance over the past few days at Camden Yards, and the bottom line is this: fans have every right to spend their money any way they want to. If they want to go to games – cool; if not, whatever. There are multiple reasons why they do not attend games and noted in the comments section of their pieces. It is certainly bad for civic pride to see a stadium more than two-thirds empty for a team competing for a playoff spot – especially after 14 years of losing. I see the Orioles on average of 25 to30 games as a fan and have had a season ticket of some form since 2003. It can be expensive to go to a game; however, there are times I’ve gone on the cheap, brought my own food, drinks and found parking on the streets around the park for free to save money. I try to make it to as many games as possible with my schedule, finances and everything else that happens in life. I’m a single guy with some disposable income, but not everyone is in my shoes and a lot of families do have problems stretching out a budget. However, I think the issue is deeper than that. I do not think the problem with attendance is the cost of attending a game, but a serious disconnect between the franchise and its fans. The Orioles honestly may have to work a lot harder to win back some fans. McLouth's 2-Run Shot Late Propels Orioles; Where are the fans? The Orioles on Monday night earned their 70th win of the season – quite an amazing accomplishment considering what many predicted in the winter. They beat a tough, gritty Chicago team that is leading American League Central and have won their third game in a row. Two role players – Nate McLouth and Lew Ford came up huge on the night. Considering both guys were in baseball wilderness in the winter, it fits with mantra on how the Orioles have been so successful this season. Everyone seems to play a role, and someone comes to the table and steps it up. It seems like a new hero comes through to shine on a daily basis. Both men would hit critical homers, but McLouth’s shot – a two-run homer in the eighth inning – would put the Orioles on top. With the win on the night, the Orioles are now in second place in the American League East. They are only 3 ½ games behind the slumping New York Yankees, after trailing by ten about a month ago. Both they and Oakland have the wild card spots as of now. It’s still hard to believe that the Orioles are 70-57 and finally playing some meaningful baseball right now. Starting pitcher Wei-Yin Chen pitched well enough to win, as he went six innings; however, he had a mistake-﻿filled sixth inning and gave up a two-run homer to Chicago third Kevin Youkilis. Lew Ford’s solo homer in the second put Baltimore on the board, 1-0. By the way things were going on the mound; you knew it was going to be a close battle on the night between the two teams. ﻿However, in the sixth inning, things unraveled for Chen. Mark Reynolds made a diving play after DeWayne Wise hit a sharp ground ball to him; alas, Chen – while he was trying to cover first base – dropped the ball. A minute or so later, Kevin Youkilis took Chen deep and gave the White Sox a 2-1 lead. Everyone that follows major league baseball woke up this morning and felt it. The rumbling through the baseball world as Red Sox GM Ben Cherrington executed quite possibly the biggest trade of a generation. The Red Sox sent Adrian Gonzalez, Carl Crawford, Josh Beckett and Nick Punto to the Dodgers in exchange for James Loney and three other prospects. Also, the Dodgers will assume over 250 million dollars in future salary considerations. The move is so big, with so many moving parts that it genuinely is hard to figure out its impact at this point. What is clear is this move will have massive reprecussions for years o come. The Red Sox essentially traded away three of the worst contracts in baseball. The Sox were going nowhere fast with these players so the powers in Boston blew it up. So where does it leave them? James Loney will come over from the Dodgers and be the new starting first baseman for the Sox. Loney has been a disappointment as a prospect since his first full season in the bigs. Also coming over to the Red Sox is infielder Ivan DeJesus, starting pitcher Allen Webster and, officially, two players to be named later (though it has been widely reported that those players will be pitcher Rubby De La Rosa and IF/OF Jerry Sands). All of the players are young; are an attempt to fill a weakness in the roster, and almost all of them have seen at least some major league playing time. Most importantly however, the Red Sox are now free from some of the worst contracts in the American League. With new financial flexibility the team has much more power to directly address needs in free agency or extend someone like Jacoby Ellsbury or David Ortiz. As a poster on the Red Sox forum The Sons of Sam Horn stated today: "Imagine someone just came to your house and said 'Surprise! I just paid your mortgage!'". At the end of the day the baseball world will not feel the full impact of this deal until next year. This year, the Red Sox look as though the have waived the white flag. The rotation that was already an inconsistent jumble is now weaker, their lineup is taking a big hit without Gonzalez and Crawford sitting in the middle of it. Sure they were both under-performing but take out their current numbers and replace them with a month and a half of James Loney and Daniel Nava in an already under-performing team and you have the makings of a team that really just wants to end this season as quickly as possible while saving face. The Orioles completed a trade today for Arizona Diamondbacks' starter Joe Saunders. The Orioles send RP Matt Lindstrom to Arizona and a player to be named later to the D-Backs for Saunders and cash considerations. Saunders will take a spot in the rotation, the Orioles have stated that Jake Arrieta will take Lindstrom's spot in the bullpen. The Orioles today announced that they have acquired LHP JOE SAUNDERS and cash considerations from the Arizona Diamondbacks in exchange for RHP MATT LINDSTROM and a player to be named later. RHP JAKE ARRIETA has been recalled from Triple-A Norfolk to take Lindstrom’s place on the 25-man roster for today’s game. Saunders, 31, is 6-10 with a 4.22 ERA (130.0IP, 61ER) in 21 starts for Arizona this season. The eight-year veteran is 75-62 with a 4.17 ERA (1116.2IP, 517ER) in 182 career starts with the Angels (2005-10) and Arizona (2010-12). Saunders, a Virginia native, has made four career post-season starts (2008 ALDS, 2009 ALCS and 2011 NLDS). Originally a first round pick (#12 overall) by the Angels in 2002 out of Virginia Tech, Saunders graduated from West Springfield High School in Springfield, VA.
Lindstrom went 1-0 with a 2.72 ERA (36.1IP, 11ER) and 30 strikeouts in 34 appearances for the Orioles. He was acquired with RHP JASON HAMMEL from Colorado in exchange for RHP JEREMY GUTHRIE on February 6. Arrieta went 3-9 with a 6.13 ERA (101.1IP, 69ER) in 18 starts with the Orioles earlier this season. He went 3-4 with a 4.91 ERA (44.0IP, 24ER) in eight starts with the Tides. Best-case scenario: Left-handers Brian Matusz and Zach Britton make major strides before the team is crushed under the weight of a powerful division. For the sixth straight year, Baltimore fails to win 70 games; for the 15th straight year, the team has a losing record. Yes, this is the best-case scenario. The Orioles won their 69th game of the year tonight behind another strong performance from Steve Johnson. The Orioles beat the Blue Jays 8-2. The Orioles are 12 games over .500, one short of their season high. On Saturday, August 25, the Orioles and Oriole Advocates will hold a formal induction ceremony prior to their 7:05 p.m. game with the Toronto Blue Jays to honor 2012 Orioles Hall of Fame inductees MIKE MUSSINA and RICH DAUER and Herb Armstrong Award recipient WALTER YOUSE. Fans are encouraged to be in their seats by 6:30 p.m. In his 10 seasons as a starting pitcher with the Orioles, Mussina compiled 147 wins and a 3.53 ERA, pitching more than 200 innings seven times. He will become the 50th inductee into the Orioles Hall of Fame. A second baseman, Dauer spent all 10 seasons in the majors with the Orioles and accumulated a .985 career fielding percentage. He was a part of the World Series championship team in 1983. Dauer will become the 51st inductee into the Orioles Hall of Fame. Youse played a pivotal role in Baltimore baseball as an amateur coach before becoming a full-time scout with the Orioles in 1959. He passed away on April 15, 2002 at the age of 88. Youse will receive the Herb Armstrong Award, given to non-uniformed personnel for distinguished service to the Orioles and the game of baseball. The annual Orioles Hall of Fame Luncheon was held earlier today to honor Mussina, Dauer and Youse. On Saturday, August 25, SS J.J. HARDY will make an appearance at the AT&T store in Hanover, MD from 11:00 a.m. - noon. Hardy will sign autographs and greet fans. The event is free of charge and open to the public. The store is located at 7000 Arundel Mills Circle #336, Hanover, MD. Moves Made: Matusz comes back up; Hunter goes down and more.. It looks like Tommy Hunter has been demoted back to minors, and considering how things have gone with him -- especially after Thursday's start, who could blame the team? The Orioles are in it to win, and they have to look at all the weak links. I'd imagine that he would be promoted back once rosters expand in September. You’ve probably heard by that the Orioles lost 12-3 to the Texas Rangers last night, as Tommy Hunter and Kevin Gregg set off the fireworks for them – in a historically bad way. Tommy Hunter, in a typical Hunter start, gave up three homers; however, was terrible on Wednesday night. Adrian Beltre, who can be one hell of a hitter, slammed three home runs – including doing two in a nine-run fourth inning – to send Texas to an easy victory. Tommy Hunter gave up two of them to Beltre and Kevin Gregg gave up the other. Mitch Moreland also had a grand slam homer off Hunter in the fateful fourth inning. It was just not good for Baltimore at all last night. The only bright side for the Birds was that Nick Markakis drove in three runs and had three hits. Well, the rest of the team frankly didn’t do much at the plate. Derek Holland (8-6), who started for Texas, earned the win and pitched seven innings for the victory. He gave up three runs. According to the Baltimore Sun, Hunter has given up 32 HOMERS this season. That’s just awful. Considering he spent some time in the minors, that feat is even far more amazing to fathom. Hunter just could not get the pitches over the plate, and when he did, they were high. Of course, Texas’s powerful hitters made him pay big-time. The fourth inning was horrendous and for one night brought flashbacks of the past with this team. Again, the Baltimore Orioles continue to amaze. It is now August 22nd and they are still in the playoff hunt, plus they still hold the second wild card spot. The amazing season continued as they won again, this time in Texas against the Rangers, 5-3. After a loss on Monday night, they bounced back yesterday as Chris Tillman’s (6-2) nice outing combined with the bullpen and a four-run fifth bolstered Baltimore to their 67th victory of the season. It was another close game and they pulled it out. An RBI-double by J.J. Hardy along with a two-run homer by Nate McLouth (his forst of the year) in the fifth inning provided Baltimore with the offense they needed. I’ve been impressed with McLouth. His career seemed to be over a few years ago, but he’s been quite a contributor for the Orioles and seems to do the little things right. I’m not sure if McLouth can ever return to his All-Star caliber status; however, the Orioles have gotten a lot from him in the past month or so. Manny Machado had two hits – including an RBI-triple - for the Orioles after struggling at the plate in the past few games. As my tag team partner James noted in a post from Sunday, the Baltimore Orioles won their 66th game of the 2012 season on Sunday, defeating the Detroit Tigers, 7-5.
he victory on Sunday capped yet another strong series for the Orioles. After getting burned by the bats of Miguel Cabrera and Prince Fielder on Friday night; Saturday’s game featured a clutch effort by Zach Britton on the mound as he threw seven shutout innings, and Sunday’s rubber game had Wei-Yin Chen plow through a rough outing and the offense came together again. This would have been more than likely a series that Baltimore would have lost last season; however, this is clearly a different year under the tutelage of Beck Showalter and they have a much different mindset. Baltimore believes they can truly beat anymore. That change in mindset in huge and fans can see that when they play on the field. The mood around the area – heck, even among Orioles fans here is different. A lot of people are thinking big, despite the history shown by this team over past decade-plus. The NFL isn’t even on my mind right now, I’m doing more scoreboard watching than ever and keep up with the sport of baseball more than ever. The Orioles are only one win away from matching their total from the 2011 season. For the umpteenth time, no one – unless you’re the rosiest of all fans – expected the Orioles to finish .500, much more contend for a playoff spot into the end of August. I cannot remember this team ever playing this strong and with such cohesion in over fourteen years. That is all the Orioles need to do, it is what they have to do, and it is what they are doing. The need to keep winning to inch ever closer to that magic number 82. After today's come-from-behind victory, and series win, in Detroit the Orioles sit at 66-55 a mere 16 games under .500. With every win the Orioles make a winning season a little less fantasy and a little more reality. Orioles fans know never to get too happy or excited about a team that has ownership of some of the worst finishes in major league history, 2002's 4-32 come to mind. The Orioles however have not been this much over .500, this late in the season since 1998 when the irds were 10 games over .500 with 35 games to go. The Orioles went 11-24 to finish that season. The Orioles need to keep winning. Every win makes one more skeptical fan a believer, gets one more national media talking-head on their side, and makes this amazing season just that much more sensational. The Orioles have to keep winning because few teams are doing the team any favors. The Tampa Bay Rays have decided to play like the playoff contenders everyone thought they were by embarrassing the Los Angeles Angels over the weekend sweeping the Angels as part of a recent four game winning streak. The Yankees have won seven of ten and seem to have the nasty habit of winning on day the Orioles win and losing on the same days as well so no real ground can get made up. Moreover, the Athletics and Tigers (despite the series loss to the Orioles this weekend) really don't look to be going anywhere either. If the Orioles wish to stay in this race they need to just keep finding ways to win. Some continue to say that the Orioles' season is nothing but smoke and mirrors. So what, because if this is an illusion then it is one of the best magic tricks I have ever seen. Take today's game. Wei Yin Chen, the Orioles' most solid starter coughed up five runs in the top of the first burying the team before they even had a chance to get to bat. The Orioles, of course, would score seven unanswered runs over the next three innings to take the lead and get the win. Through the radio you could hear the stunned silence of the Detroit crowd. They did not expect this, they did not expect the Orioles to do what they did. Well, we as fans knew last night was going to be tough against the Tigers in Detroit. Obviously, it was. Last night, the Orioles lost their first contest in their three-game set against the Tigers, 5-3. The game was frustrating on some many levels, as Tommy Hunter tossed a typical Tommy Hunter start and the bullpen could not hold a 3-3 tie in the eighth inning. Then again, the Orioles have nothing to be embarrassed about. The duo of Miguel Cabrera and Prince Fielder treated the Birds like a lapdog, as they both homered to do the damage for the Tigers. Fielder homered twice – both two-run shots in the 6th and 8th inning – and Cabrera hit one off Hunter in the first inning. Both of Fielder’s shots were absolute bombs; however, the second homer made the difference last night off of reliever J.C. Romero, breaking a 3-3 tie. Darren O’Day (6-1) – who has been clutch on the mound all season – took the loss, as he allowed the runner on base before Fielder’s fateful homer. Again, it sucked that Detroit’s two big-boppers killed the Orioles; however, BOTH men are likely potential Hall-of-Famers barring anything crazy happening in their careers. Baltimore’s offense came via a Nick Markakis RBI-double in the 3rd inning and a Matt Wieters’ homer – his 17th and a two-run shot – in the fifth. Joaquin Benoit (2-3) earned the win in relief for Detroit. Tommy Hunter pitched well enough to perhaps win – or lose – but it was a solid start for him. However, in my mind, last night will be remembered for Mark Reynolds’ outburst and Buck Showalter being thrown of out the game in the fifth inning after a blown call at first. Sometimes it is the little things during a game that makes a difference. The Orioles could not finish their three game sweep over Boston, and they lost 6-3 on Thursday night. Chris Tillman had a so-so outing, the bullpen could not hold a tie throughout the middle of last night’s game and the offense got handcuffed after the second inning. Despite the loss, the Orioles did finish off a successful homestand, going 7-3, and sticking around in the playoff hunt. They still hold one of the two coveted playoff spots heading into today, and trail the Yankees by 6 games in the American League East. Heading into a critical road trip against the Tigers this weekend and Rangers next week, they are 64-54, ten games above .500 on August 17th. It is still amazing to ponder that with this team. Tillman struggled on Thursday night and was just off. He’s been a stabilizing force for a team that has needed pitching and has more or less avoided the problems that plagued in him in the past. Despite Tillman giving up only a run in the first four innings, his outing was painful to watch. His pitch count approached 90 before the fifth inning, and he was making the same mistakes that we’ve seen in the past. Tillman was throwing too many balls, not hitting the strike zone at times, and watching some of his at-bats against Boston were a painful experience to watch. He allowed the Red Sox to tie up the game at three in the fifth inning. Tillaman gave up a wild pitch in the fifth inning that allowed Carl Crawford to score; a few minutes later, Dustin Pedroia crossed home plate on an Adrian Gonzalez sacrifice flyball. He gave up his first run in the second inning as Scott Podsednik plated in Nick Punto – who had walk to reach base. The young hurler only lasted 4 2/3 innings, and gave up three runs. He threw 110 pitches and threw two wild pitches. It was not a pretty outing for Tillman. As much as he improved this season, glimpses of the 2010-11 version reappeared, and it was cringe worthy at times. However, he has been a lot more consistent this season, and has bolstered the rotation. While the baseball waits for the Orioles to fold, they keep doing what they have done best for the month of August. Baltimore did that again on Wednesday night as they used a five-run sixth inning to finish off Boston, 5-3. Amazingly, for the first half of the game, the Orioles were hamstrung by Red Sox starting pitcher Aaron Cook. He had a no-hitter for five innings until the sixth inning. Then, Cook and the Red Sox found a way to hand off the game to the Orioles. With Boston up 1-0 in the sixth, an out recorded in the frame and runners on first and third, Adam Jones hit a grounder back to Cook. It seemed that Cook would get an easy double play; however, he threw the ball into centerfield and enabled J.J. Hardy – who was at third base – to score. Cook (3-6) would take the loss for Boston. The score would be tied at two after Cook’s errant throw, but the flood gates opened up from there. Doubles by Mark Reynolds and Matt Wieters in the frame to left field helped the Orioles to five runs and en route to their 64th victory of the year. Miguel Gonzalez (5-2) won his 5th game of the season, as he went six innings and gave up two runs. His start was not the greatest; however, he kept his team in the game and got outs when needed. Once again, the Baltimore bullpen came through and J.C. Romero, Luis Ayala and Pedro would hold off Boston for the next two innings. Jim Johnson would pitch in the ninth inning and earn his 35th save of the year. The Orioles are now 64-53 and are still the Wild Card leaders. By virtue of their win last night, they will take another series from Boston; however, they have a tough road around with the Tigers and Rangers away from the confines of Camden Yards. 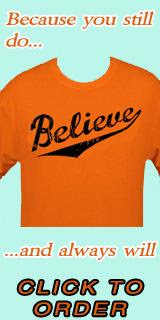 Baltimore Orioles 2012 - Welcome to the Playoff Race from James Baker on Vimeo. A little diversion to celebrate an amazing summer thus far. Adam Jones, Matt Wieters, Nick Markakis, Jim Johnson, Pedro Strop, Jason Hammel, Wei Yin Chen - all have been essential to the Orioles' success this year but as of right now, to this blogger, the most important Oriole is one William Nathaniel Showalter. Honestly, has there been one person that is more responsible for the Orioles' year? Buck has been the rock, the steady-handed captain of this improbable team. He is calm, cool and clearly in charge. When you look at the team the Orioles have beaten each of the last two nights you see the polar opposite of Buck's Birds and, frankly, you see an image of the Orioles' past. Chaos, turmoil and the complete breakdown of communication and power structure. The result is clear, losses frustration and a manager who is currently the subject roughly one dozen office "death-pools" around the country. Meanwhile, in Baltimore Buck Showalter has guided this team and managed them to an impossible season. There is a lot of debate over just how much impact a manager has in baseball on a win/loss level. Most people would agree that a manager's moves, or non-moves, have a direct impact on the result of maybe four to five games in a year. After all is said and done, the manager just pushes buttons and it is up to the players to perform. Now, the baseball manager needs to put his players in a position to maximize their strengths and minimize their weaknesses, Buck has done an admirable job of this. He has been utilizing shifts much more this year to help the pitching staff; he has not been afraid to juggle the lineup to maximize hotter bats and trends; he was not shy about moving Reynolds off of third and certainly not shy about throwing Manny Machado straight into the deep-end of the major leagues. Where Showalter has really excelled this year is in bullpen management. The Orioles' biggest strength this year has been the bullpen. And the bullpen continues to excel even after an inordinate amount of extra innings and a heavy workload due to inconsistent starting pitching. Showalter has done as good a job as anyone could be expected to do. He has worked to keep arms fresh and has not been shy about leaving young starters in the game an inning or two longer than other managers might do in an effort to save those arms. But even then we aren't really discussing Showalter's biggest contribution to this team the way he runs his shop. Showalter has never expected less than 100% from any of his players because he himself gives 100% in everything he does. Showalter has the reputation of having near dictatorial like control over every aspect of his team. Rumor has it he even had a hand in the design of the expansion Arizona Diamondbacks' uniforms. It has been said that it is this desire for control that makes buck such an excellent manager, but also leads to Showalter outliving his welcome wherever he goes. You get the idea however that Showalter's brand of type-A attention to detail is exactly what the team, and the organization, needed. As I stated above, the current situation in Boston is a complete disaster but Baltimore does not have to look far back in its history to see a very similar situation. The Orioles, like the Red Sox today, were a rudderless ship taking on water in an unforgiving sea. The Orioles as an organization was a revolving door of upper management and field management with no one staying around long enough to put any plan into action let alone see it through to the end. Former Orioles pitching coach Leo Mazzone said as much on ESPN's Mike and Mike in the Morning earlier this week. He compared Baltimore's turmoil to the regimented structure of the very successful Atlanta Braves organization. You could hear the spite in his voice when he talked about the complete chaos the Orioles' organization was. Buck and General Manager Dan Duquette have changed that culture. Buck runs a tight ship, his words carry weight and you can see how everyone on this team has completely bought into his ideals and plan for this team. In a year that has been the Baltimore Orioles do the improbable, they earned another win over the struggling Red Sox last night to start their three game series at Camden Yards, 7-1. The Baltimore offense led the team to victory with a five-run sixth inning that finished off Boston, and Mark Reynolds – whose struggles need little mentioning in ’12 – blasted two homers. They have won their 63rd game of the season, and are only four victories away from matching their total of last season. Omar Quintanilla, who has been clutch for the Orioles since he was acquired from the Mets, hit a solo homer in the first inning to give Baltimore an early 1-0 lead; Chris Davis had two hits and Matt Wieters drove in a run. The Orioles have owned the Red Sox in ’12, as they have won seven out of ten games against them. Instead of the Red Sox owning the Orioles, it is the other way around – for now. Seriously, based on what we’ve all read about the Red Sox and their internal strife, along with the players’ issues with Bobby Valentine, the Orioles may be the least of their problems. Wei-Yin Chen (11-7) pitched another great game, as he six innings, gave up only a run; however, he allowed nine hits to earn the win. The Baltimore bullpen – Darren O’Day, the newly acquired J.C. Romero and Matt Lindstrom – kept Boston off the scoreboard for the rest of the game. If this were 2011, I would have been a little anxious about seeing the bullpen come into game for the Orioles against the Red Sox – even with a six-run lead heading into the seventh inning. Then again, this is a new year and with the way the Orioles are looking, fans should very confident with the bullpen in the latter innings of the game. It’s looking like things will be a lot different for Orioles fans in summer of 2012 than what we are used to as fans. Rather than relaxing at the ballpark and waiting the season to play out, plus focusing on football, I’m now doing more scoreboard watching than ever. It’s fun to watching some meaningful baseball in these parts. Instead of being out of contention by now, the Orioles are thriving and winning. On a gorgeous Sunday in Charm City, the Orioles earned their 62nd win of the year as they defeated the Kansas City Royals, 5-3. They are now tied with Tampa Bay for the American League Wild Card lead, and have the second position. The Orioles are in third place in the American League East, as they trail the New York Yankees by 5 1/2 games. At this point for Baltimore, every game is a must-win. Unlike in years’ past, when the Orioles had a lead, you somehow expected the bullpen to somehow screw the game up; however, now, you expect the bullpen to hold down the fort. They did that on Sunday as they threw four scoreless and gave Baltimore a chance to win. Luis Ayala earned his fourth win in relief, and Jim Johnson earned his 34th save. He went five innings, gave up three runs – of course, gave up a homer – to Mike Moustakas in the 4th – and got out of trouble a few times to keep the Orioles in the game. Baltimore used a combined team effort to split the series with Kansas City and of course a certain youngster played a role. The legend of Manny Machado continues to grow as he put the Orioles on the board early with a two-run homer to center-field that needed to be reviewed by the umpires; thereafter, Baltimore would tie the game at three with a Nick Markakis homer (a solo shot, his 13th). On the precipice of redemption. Yesterday the Orioles reached somewhat of a milestone. The Orioles won their 61st game on August 10. In 2005 the Orioles were mired in a horrific tailspin at this point in the season and had to fight back to get to 60 wins on August 17, game 120. In 2005 the Orioles went 14 and 28 over the final 42 games and limped into the offseason broken, defeated and embarrassed. The 2012 Orioles won their 61st game last night marked their sixth win in their last seven games. It saw their top prospect call-up announce his presence with authority as Manny Machado collected four RBIs with two no-doubt homeruns into the left field seats. Miguel Gonzalez, the Mexican League signing, continued to surprise and act as a much needed stabilizing force in the rotation with another stellar performance. The cynical among us will roll their eyes and say "Royals." Well, these Royals torched the Orioles' best pitcher the night before and had won seven of their last eight before last night. The Orioles can not afford to "overlook" anyone nor will they because of one man - Buck Showalter. As this season goes forward, the play, the dedication you can see what Buck has meant to this team. The Orioles continue to defy logic and assumption largely because of Buck Showalter's system and management ability. I'm not necessarily talking about the button-pushing and lever-pulling aspects of the job, rather, the personalities the people. You have a sense that Showlater has every member of that team buying into every last word of his philosophy. If you don't believe me, look at the record. Still not convinced, Adam Jones stayed here long term because of Showalter. It has been reported that Jones decided to stay here because Showalter assured him that he was going to be here for awhile. Manny Machado: The Showstopper; O's Win and Where are The Fans? Third baseman Manny Machado has only been up in the majors for only two games, but he is quickly becoming a face of the franchise. Yes, again, it has only been two games, and it does not make a career; however, Machado at Oriole Park did something remarkable last night. He hit two homers – back to – back – a solo shot, followed by a three-run homer, and the Baltimore Orioles defeated the Kansas City Royals, 7-1. In a year of the improbable for the Orioles, could Machado, at the ripe old age of 20, help the Orioles get into the playoffs? Anaheim has Mike Trout, Washington has Bryce Harper, and maybe Baltimore has a young star of their own in Machado. Last night as special as a fan to witness in person, as I got to see a kid I’ve heard some much about; however, I’ve only seen him play twice – both times in Sarasota during Spring Training. Machado looks like he belongs out there with everyone else in the majors, and it was just electric being at Camden Yards. If Machado keeps up his heroics, he will be a immensely popular person in town real soon. With Machado now in the show, he has to play – every day. With all apologies to Wilson Betemit and Mark Reynolds, but it is Machado’s time now to shine. If he fails, he fails and gets sent back to the minors; however, from what I’ve seen so far, Machado may never see the lower levels of professional baseball again. Of course, Machado’s feat entirely overshadowed the work of Miguel Gonzalez, who had yet another strong start on the mound. He went eight innings, gave up a run, and earned his fourth victory of the season. Gonzalez – much like Machado – is another guy who was summoned from the minors to help a team that has seemingly gotten to where they are by patching things together. He has delivered time and time again on the mound, and it is surprising how far the Orioles have gotten with guys like him. As well, the offense broke out as well too. Omar Quintanilla – who too was overlooked on the night – had three hits and a two run homer in the second inning. Wilson Betemit scored two runs, and Nate McLouth had two hits. It has been an phenomenal year and things with the Orioles truly seem to be different. I don’t think there will be an August swoon as the Orioles seem to be playing with a lot of confidence and seem to have gotten the shadow of perpetual losing off their back. The Baltimore Orioles nice five-game win streak came to an end as they lost to the Kansas City Royals, 8-2. This was the first contest in a four-game set. Wei-Yin Chen should be considered the ace of the Orioles, as he has been nothing short of phenomenal in the last two starts; however, on Thursday night, he got hit hard – very hard. The Orioles got punished by the Royals early and they could not get up. In fact, one could say that they were out of game before they even stepped up to the plate. Chen struggled in the first inning, giving up four runs and serving homers to Alex Gordon and Billy Butler (a three-run shot): however, he gave up two more runs in the third inning. Chen was off, and it showed on the mound. He looked awfully hittable, his pitches were not working, and the Royal batters simply teed off on him. He put forth a valiant effort on Thursday; alas, just didn’t have it and was done after 4 2/3 innings. Chen gave up seven runs in the loss – all earned – and took his seventh loss of the season. Today begins a new era for the Baltimore Orioles. This evening Manny Machado will start third base and bat ninth for the Birds. If you stayed up late last night the word rang out through the twitter-verse and frankly I couldn't believe it. I didn't believe it at first. After reading this story earlier this month I thought initially that the Orioles' twitter account was hacked. But confirmation soon followed by shocked beat writers and bloggers. The 20 year-old Machado was the Orioles' first round pick in 2010. He has had a solid year in the minors and has come on strong in recent weeks. Currently batting .266/.352/.438/.789 with 11 homeruns in just over 100 games and 400 ABs at AA Bowie. Certainly not tearing the cover off the ball, his numbers are not begging for him to get called up. As the Orioles completed a sweep the Mariners last night the Orioles are suddenly looking as strong as they have ever appeared this season. The addition of the young top BA number 11 prospect infielder seems questionable at first blush. Why would the Orioles rush this player, a prospect that the team is really counting on for the longterm? I don't know if Machado is being rushed, per se, but this move definitely is one of the most aggressive moves the Orioles have made in a long time. Yesterday was one amazing night for the Orioles. Maryland native Steve Johnson – whose father Dave pitched for the team, and now works for MASN – pitched a masterful game, struck out nine, earned his first ever major victory and the Baltimore Orioles won their fifth game in a row, 9-2. With the Yankees’ struggles of late, the Orioles have pulled within 4 ½ games of the divisional lead, and are in three-way tie for the final wild card spot. Could the improbable be possible for the Orioles this season? Could we as fans be seeing magic? Maybe they are in a hot stretch, or perhaps we are seeing the real Birds. This team has been piecing this whole season together, and what's another move made in a long line of many? The Orioles last night perhaps sent a warning shot to the rest of the league that they are in it as they promoted shortstop Manny Machado from Double-A Bowie. At first glance, Machado’s numbers (266/.352/.438 with 11 home runs and 59 RBI in 109 games) may be a tad pedestrian; however, he’s been hot at the plate down at the lower levels. It Doesn't Make Any Sense; The Orioles Keep Winning. Let's Just Enjoy The Ride. At the start of the season – or better yet, this offseason – I didn’t give the Orioles chance in hell to finish with over 70 wins. Or even more preposterous … a playoff team? Based on their run differential, and a litany of other statistics, the Baltimore Orioles have no business being an over .500 team. They should not should be 58-51, and much more half a game out of a wild card spot. There are some things that cannot be explained in life, but the Orioles 109 games into the season are winning. Baltimore pulled out another close game last night as they defeated the Seattle Mariners at Camden Yards, 3-1. It’s funny, at the trade deadline, everyone was crying about getting another pitcher via a trade and wanting to make a move for the sake of making a move. Well, I didn’t think a huge one was going to be made, and sure enough … it was not. The Orioles were going to have to use their roster as constructed to compete for the final two months and sure enough, they are succeeding right now. Granted, this team has quite a few flaws; however, in as many days, the pitching got it done again. In the end, perhaps the Orioles knew better than we all did. The solutions to their arms’ problem might be from within. Miguel Gonzalez, Chris Tillman and Tommy Hunter (numerous times) were given a chance to come up from Triple-A and have succeeded with strong outing after outing. Now…. if Tommy Hunter can just curb his propensity to give up the longball. Chris Tillman – who was looking like your prototypical Four-A guy coming into the 2012 season – may have figured it out on the mound. There were a group of fans who wanted him traded in package for perhaps a veteran arm, or bat; however, could Tillman have figured how to pitch in the majors finally? The Baltimore Orioles came up in the Tampa Bay area, taking two consecutive contests in their three-game set. Amazingly, for a team that has had pitching issues and troubling scoring runs for much of the summer, the Orioles are hanging in there within the playoff hunt. They are pulling out the close contests, winning the one-run games, and getting contributions from seemingly everyone these days. ith Wei-Yin Chen’s impressive performance on Saturday, along with Miguel Gonzalez’s impressive outing – with support – from the bullpen on Sunday, and Tommy Hunter’s game on Friday (despite losing), the Orioles have gotten a nice run from their starting pitchers as of late. When it comes down things, Baltimore’s hope of still staying in the wild card race comes down to their starting pitching. The offense is obviously crucial, and needs to do its job; however, I do believe pitching is 90 percent of the game. On Sunday, the Orioles only mustered three hits against the Rays. That fact along would lead many to believe that the they had no chance during Sunday’s game – especially against David Price, who started for Tampa Bay. However, Gonzalez pitched seven stellar innings on the mound, along with three shutout innings by the bullpen, and that helped set Taylor Teagarden’s RBI-double in the 10th inning. Funny, it seems to be when the Orioles are in deep trouble and the ship seems to be sinking, they tend to pull out of it. The Baltimore team been resilient and is the first time in ages that they have been this competitive heading into August. Will the Orioles walk through it. Let's face it, when you look at the numbers the Orioles probably don't belong where they are right now. There are a million reasons why the Orioles should not be here, yet they are four games over .500 and sit a mere 1.5 games back in the wild card. After a disappointing effort in last night's 2-0 loss to the Tampa Bay Rays, a game that while not a must-win it certainly felt close, the Orioles are STILL right there. The door is open, the Orioles have been successful thus far in sheer defiance of maths, logic and the assumptions of the greatest minds of baseball. A winning season, the post-season, is sitting right there waiting for the Orioles to step up and take it. Will they? Mark Reynolds is killing this team right now. His OPS is under .700, his slugging numbers have vanished. Last night Reynolds left six men on base and his at bats were not impressive. Over the winter Reynolds worked out and trimmed down to become a better fielder. one has to wonder if the lost weight has altered his swing because Reynolds has not been the same. The Orioles have certainly missed his power bat in the bottom third of the lineup. And without the homers Reynolds doesn't really have a point on this team. His defense at first has been serviceable at first, that is to say his sometimes erratic arm is minimized and he can pick the ball out of the dirt fairly well, but its not enough. Where would the Orioles be right now if Reynolds had a season that in any way resembled 2011? Omar Quintanilla has been a great pickup thus far. He plays solid defense at second and his bat has been a pleasant surprise in the small sample. he has been good enough to push Robert Andino back to more of a reserve role for the time. That is fine with me, as beloved as Andino might be, his bat had cooled significantly while Quintanilla has flourished and at this point of the year you have to go with the hot hand. When Chris Tillman steps on the mound, one of two things often happen: he is either extremely good, or he just flat out isn't very good. His consistency has always been an issue throughout his Oriole tenure, but he has looked much better in his handful of starts in 2012; however, last night, the bad Chris Tillman returned for a while as he gave up five runs in the opening inning against the Yankees. I had to avert my eyes from the TV for a bit, but his teammates would bail him in the second inning, as they scored seven runs to turn a night that started out with a lot disappointment to a laugher. The Oriole would end up bashing the Yankees, 11-5, as Tillman would eventually settle down – apparently, he was sick – and toss four more shutout innings for the win. Ivan Nova, who started the game for New York took the loss. For the Orioles, Chris Davis hit a grand slam homer (his 18th) in the second inning to bolster the team, and Nick Markakis hit a two-run shot in the eighth (his 10th). Wilson Betemit and Omar Quintanilla each drove in two runs apiece. The Orioles have won three games in a row and are 55-49. They have chipped away at the Yankees’ divisional lead and are 5 ½ games behind and are 1 ½ games behind Oakland and the Los Angeles Angels in the wild card hunt. With the nonwaiver deadline over as of Wednesday afternoon, the Orioles decided the best move to make right now is none. I know some fans are disappointed, but the Orioles could not get an impact player without trading away a Dylan Bundy or Manny Machado. Everyone knew that was not happening. Baltimore seemed engaged in talks with Philadelphia for Joe Blanton; however, there was an issue over money and what prospects would have been traded. As we all know, the Phillies are having a horrible season and are mired with quite a few expensive contracts, so they had the proverbial fire sale to get rid of guys. In the end Blanton, in my opinion, would not be that much of an upgrade for Baltimore. He is really not that much better than the guys are already being trotted out night after night for the Orioles.